This template only includes the minimum of styling needed and comes with a neutral look. It could already be used as a real theme, but its purpose is to serve as a basis for creating your own theme. It is documented throughout and invites you to make changes to your liking. 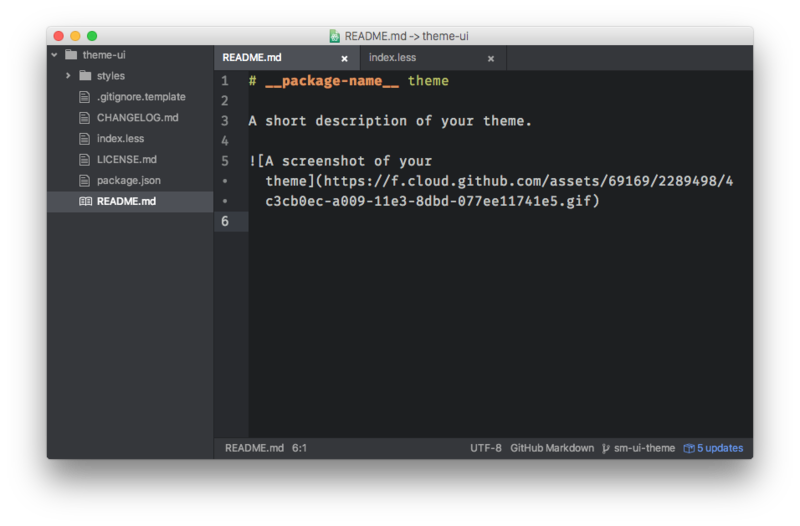 For some inspiration take a look at other Atom themes at atom.io/themes. Or you’re always free to fork a theme that already comes close to your vision. ps. Don’t forget to delete the above and edit the below in your own README.md.